We live at a time when the numbers of those who witnessed the horrors of WWII first hand and can recount their experiences are rapidly declining. Bernie Frydenberg was 14 when the Germans invaded Poland. Like most of the Jewish population of Demblin, his hometown, Bernie was sent to a concentration camp. Unlike most of the Jews sent to concentration camps, Bernie survived. He was liberated 71 years ago on May 8th 1945. You are invited to bear witness to the testimony of his survival. This program is co-sponsored by the Meriden Public Library. Admission is free. Refreshments will be served. EVERY SUNDAY in MAY from 11:00 am to 3:00 pm & THURSDAY, MAY 4th and MAY 18th from 5:00 to 8:00 pm. Our May exhibit covers The Civil War, the Spanish American War, WWI, WWII, the Korean and the Vietnam wars. The Andrews Homestead itself was built in 1760, just prior to the Revolutionary War. It stands a silent witness to that era. 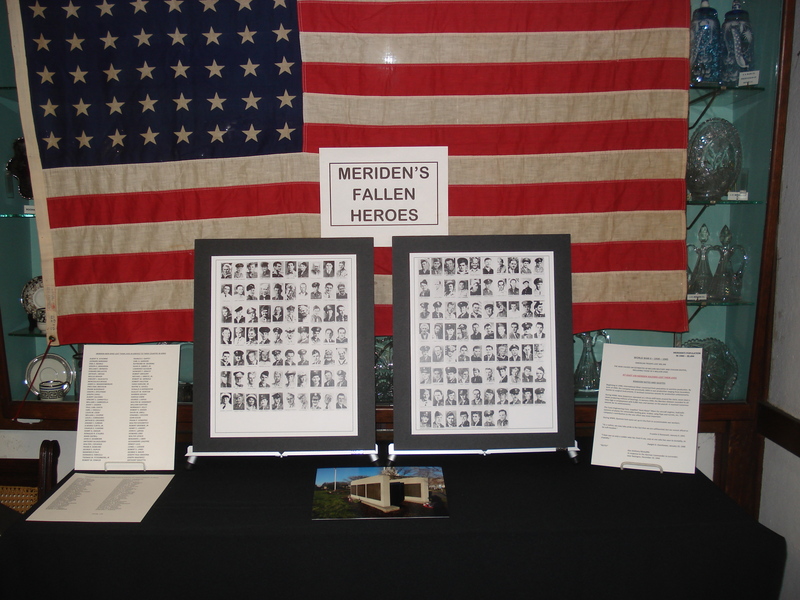 A special section is set aside to commemorate the 100th anniversary of WWI; another is dedicated to Women of Meriden and their contributions both at home and overseas. Servicewomen and servicemen visiting the exhibit will receive a special recognition. 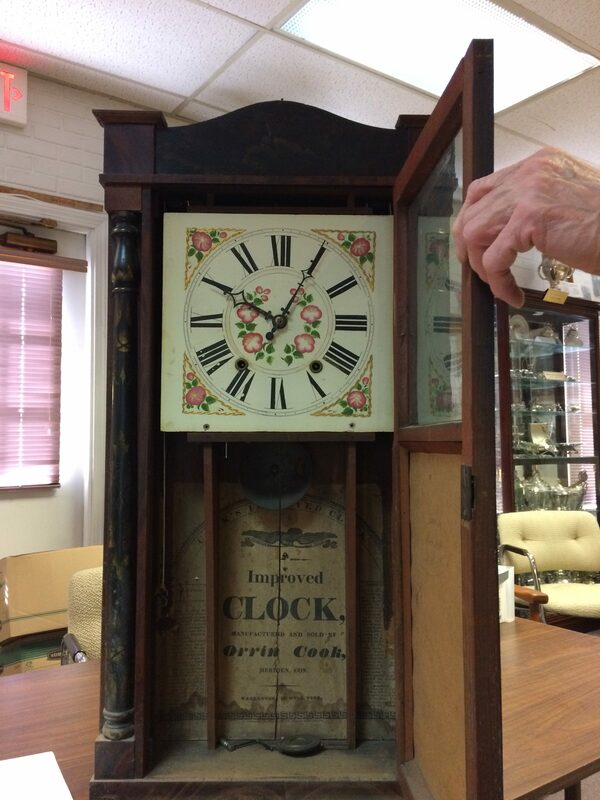 This rare 1830s Shelf Clock was made in Meriden by Orrin Cook. The clock is a recent donation to the Meriden Historical Society. Meriden Historical Society’s members in good standing will attend the Society’s annual Pizza and Pop Social, Dinner and Dessert event. Committee reports will be given followed by a vote-in of a slate of directors and officers for the year 2017/2018. A list of the proposed slate was sent to all members. This meeting is a opened to members and their guests only. Ken Karpowicz of Bloomfield and Thomas Manning of Wallingford. Special thanks to Jim Ieronimo of United Way of Meriden and Wallingford for aiding us by the preparation of our taxes for 2016 and saving us many hundreds of dollars. We could use your help at the open house and exhibit at the Andrews Homestead. Please call 203-639-1913 and leave a message, we’ll call you back.